You may think that your website is already well optimised in terms of SEO and ranking really well in the search engines for particular terms, but how do you know that these terms are the highest traffic driving terms? How do you know this is THE term that all your potential clients are actually searching for? 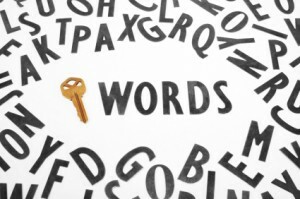 By doing some thorough keyword research in your known industry, we can help find out what the best terms are to target. Sure, a longtail term such as will be easier to rank for in the search engines than shorter terms which are broader and more competitive. That is not to say it is impossible – it just takes a bit longer. But making sure you choose the correct terms is crucial as you may be losing out on a huge amount of website traffic without realising it! For further information about our keyword research packages and our SEO Services, please contact Eye for Marketing on 01904 625 182 and we will be happy to do a one off keyword research project for your industry. “Eye for Marketing are very knowledgeable, easy to work with and with their help the number of inbound enquiries for our IT Support Services has increased significantly.” ..
“Eye for Marketing achieved everything they said they would do and more besides. Their knowledge is extensive and their passion for online marketing is infectious.” ..
“Within a short time, due to Eye for Marketing’s diligence and efforts, our company figured at the number one spot on the Google search and other chemical search sites.” ..
“Eye for Marketing not only designed my new website, but they guided me through every stage from the initial planning to the launch. They suggested some great ideas, took on board my own ideas and worked really hard to create a site that I am very proud of.”.. Eye for Marketing are a Marketing Consultancy based in York, North Yorkshire offering: Search Engine Optimisation (SEO), Pay per Click advertising (PPC), Web Development and Social Media Services at affordable prices.